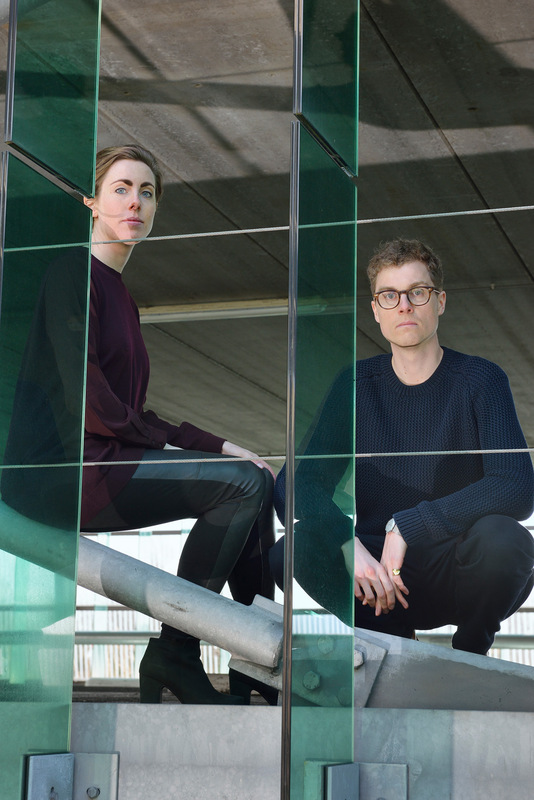 Oskar Peet and Sophie Mensen are OS ∆ OOS. They live and work in Eindhoven. In Milan, they’ll be presenting the ‘Keystone’ chair project at Spazio Rossana Orlandi and ‘Mono Lights’ at Dutch Invertuals. I’m curious to know what OS ∆ OOS stands for? Oskar – OS is short for Oskar, but OOS is shortened from Sophie’s nickname Oosje, which came from her younger sister not being able to say Sophie but saying Oosje instead for some reason. What is your partner’s strongest quality? Sophie: Oskar is the precision master. Oskar: Sophie has the ability to keep an overall focus. Oskar: I can be quite lazy at moments when I really shouldn’t be. Sophie: Running a business means I spend perhaps too many hours behind the computer. Oskar: Trying to find the balance between form and material, and their relation to their surroundings and the user is what keeps us going. Because our designs occupy a narrow line between autonomous and functional design, we work very hard to make sure the initial concept is visible – we do this by making sure the most important aspects are reduced to their essence. How do you complement each other in the studio? Sophie: In the beginning it’s always a challenge to find your place, but we think we’ve focused our particular talents in the right areas. Oskar deals mainly with technical aspects with his background in mechanical engineering. Oskar: Sophie has a particular knack for the concept phase but the design work is evenly split. The idea of working together was not premeditated; we simply noticed that when working together we could function/produce more as if we were three people instead of two. What are the up and downsides to working with a partner? Oskar: A designer’s life is difficult, particularly at the beginning with the extreme hours. It’s not for nothing that there seems to be a resurgence of design couples – perhaps that way, there are fewer problems understanding why so many hours are needed away from home. Sophie: Our biggest problem is trying to separate work from our personal relationship. Work has a tendency to creep into conversation long after business hours. On the upside, there’s a sort of telepathy between us where many aspects don’t need discussion… There’s added beauty in being able to build up something together, and having a partner to share the ups and downs of the design process. So where can we find you when you’re not at work – or are you always working? Sophie: Always working but we’re working on that… It’s a reason we have a dog now – Bruce (the dog) gets us outside! This interview was published in Connecting the Dots #9 for the Milan Design Week 2014. For entire magazine click here.